Gyros are the Greek food staple in America. They have become the symbol of Mediterranean and Greek foods, giving them an unhealthy name, but a delicious reputation. Society has altered the perception of Mediterranean foods, but in reality, a typical Mediterranean diet is focused on vegetables, fruits, beans, seafood, olive oil, and dairy, which is a relatively healthy diet. Although gyros will always be a favorite among Greek cuisine, a Mediterranean diet is healthier and has more health benefits than you may assume. At Baba Ghannouj Buffet, we offer a variety of different food choices, including the American favorite gyros, and vegetable dishes that are delicious and have their added health benefits. When the typical diet of Mediterranean food is taken, along with physical exercise, the health benefits can be immense. 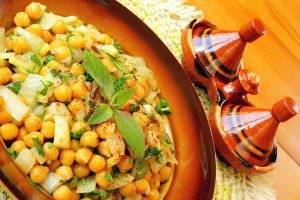 Because Mediterranean diets are full of fiber, the digestion is slowed, allowing for blood sugar to remain at a more stable level, which can help protect you against type 2 diabetes. These food choices also contain high levels of antioxidants, allowing for cells to be protected against oxidative stress, which also means that the risk of getting Parkinson’s disease is reduced by nearly half. 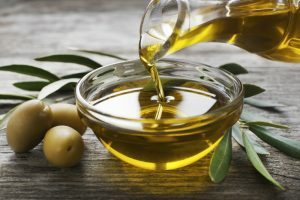 A diet focused around these popular Mediterranean foods may also be able to improve cholesterol, blood sugar levels, and blood vessel health, which can have a huge impact and can minimize the risk of dementia or Alzheimer’s disease. Just those disease preventing benefits sound good enough to go on an all Mediterranean diet, but there are more benefits that will make the whole thing even better. Since a Mediterranean diet is so rich with nutrients, it can help keep muscles strong and agile in seniors. This diet generally tends to avoid processed foods, red meats, breads, and hard liquor, substituting red wine instead. These all can help prevent the risks of stroke and heart disease. With all these benefits, it is no surprise that this simple diet can help you live longer and reduces the risk of death at any age by about 20%. We all love our gyros, but with a traditional Mediterranean diet, you could receive major health benefits. Whether you are a health nut, and want to try this extremely beneficial diet, or you are more of the only live once, eat what you want type, Baba Ghannouj Mediterranean Buffet has what you’re looking for! Although you may still think of gyros when someone mentions Greek or Mediterranean food, you will always have several different options that allow you to eat in a traditional Mediterranean way at Baba Ghannouj Buffet. With delicious choices, endless health benefits, and a buffet choice, it is a surprise people don’t choose Baba Ghannouj for every meal! Whether you want to come in for a nice sit down meal, order out, have us cater your event, or use our restaurant to host your event, Baba Ghannouj can offer what you need. Stop by today or contact us to order off of our menu.